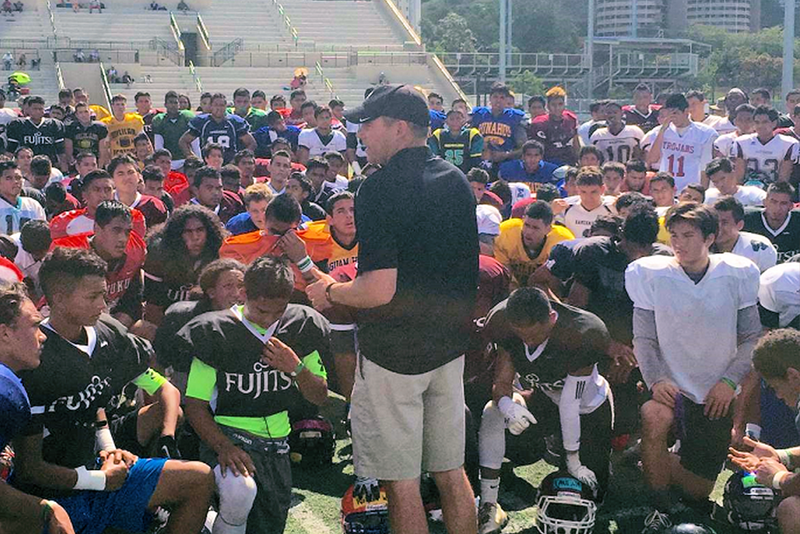 Admor HVAC and Fujitsu were proud sponsors of Rich Miano’s Gridiron Performance Academy College Showcase which featured high school classes of 2017-2020 and junior college football prospects from all over Hawaii. All 571 registered players were provided custom football jerseys featuring the Fujitsu logo on the front. Coaches from the University of Hawaii, Arizona State, Arizona, Boise State, Oregon State, Colorado, BYU, Oregon, UNLV, USC, Nevada, UCLA, Utah and more attended these clinics.